An important aspect in smart homes is the ability to reason about space and time. Certain things have to be done at certain times or at certain places, or they have to be done in relation with other things. For example, it might be necessary to switch on the lights in a room during the night and while a person is present in that room, but not if the room is the bedroom and the person is asleep. 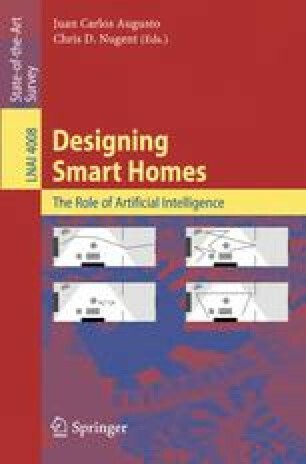 In this chapter, we discuss several AI-techniques for dealing with temporal and spatial knowledge in smart homes, mainly focussing on qualitative approaches to spatiotemporal reasoning.